As soon as I tried this dress on I pictured it with some bright red lipstick! 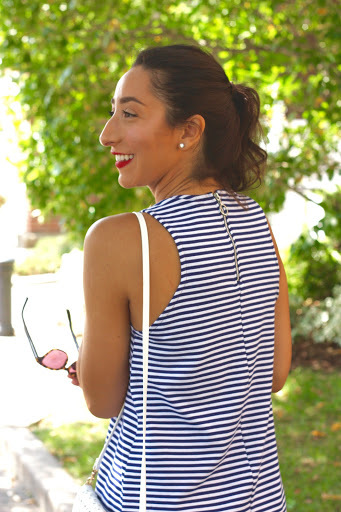 It’s the perfect subtle nautical look. 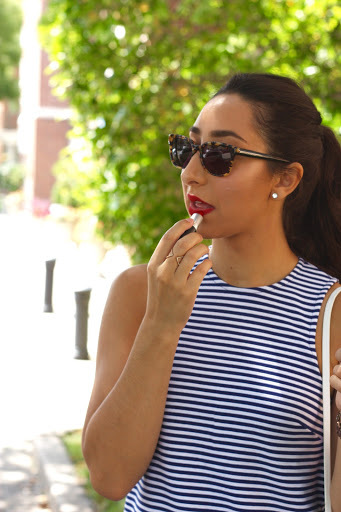 Red lipstick just goes so perfect with blue and white! This dress is probably one of my favorite purchases all summer, it’s such a great fit, shows no flaws, and gets almost no wrinkles. I also love a nice oversized zipper detailing on pretty much anything haha. 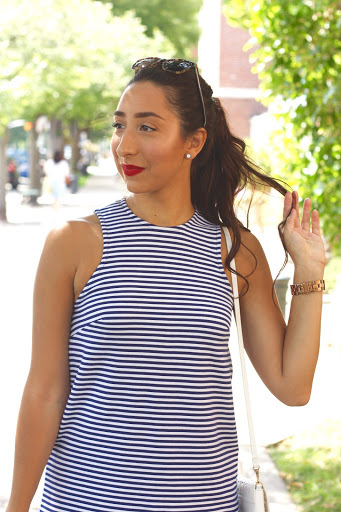 Paired with white accessories and some tortoise shades, this look is great for anything from a wedding to a brunch date! How adorable are you?! 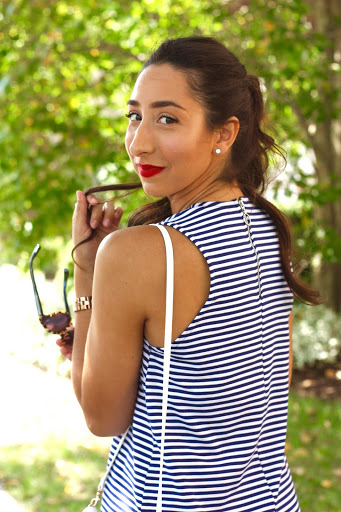 I love this nautical look and the heels are perfect for the outfit and you win with the bright lipstick! So beautiful! PS your blog looks amazing!